Although we are only in our second year of our Skill Specific Camp Series, the UW-Whitewater coaching staff raised the bar. A surprise guest coach, Armando Hernandez joined to help run the camp. 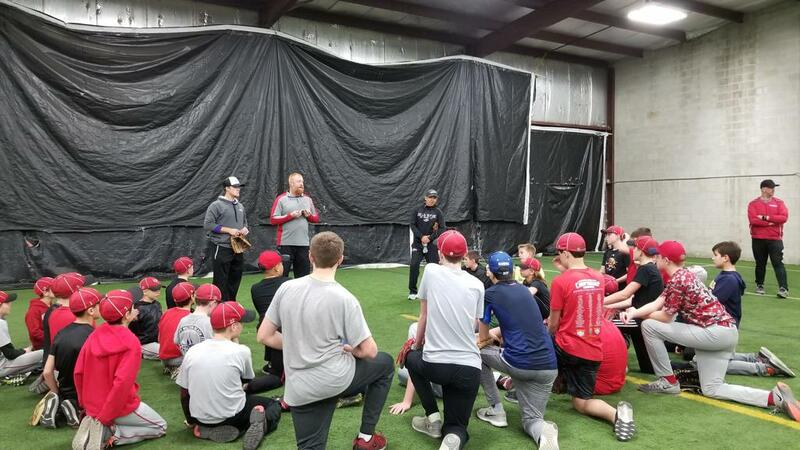 Hernandez a former UWW player, Kettle Moraine HS Varsity Coach, and 23 year infield instructor for the Warhawks, joined Coach Steve Bartlein to run our camp. The camp consisted of drills focusing on the very foundation of athleticism all the way through fielding the ball. Learning the same drills they worked on in the camp are the very same drills the college players start everyday doing was the biggest take away for our kids. The foundation of a solid defensive player doesn’t change from an 8 year old all the way through professional baseball. The highlight of this camp was the involvement of our coaching staff. The coaches in attendance actually administered the drills. This will help sharpen their knowledge, and provide them with new creative ways to improve practice plans and develop our players. For those not in attendance you will find videos of the drills on the Development Dugout. Many of these can be done at home individual or with a parent.